Editor’s note: This article is part of a series that looks at the impact of Shark Tank on the entrepreneurs and businesses that have appeared on the show. Not all Sharks are created equal. In fact, the judges of ABC’s Shark Tank are constantly competing over who can bring the most value to entrepreneurs. A detailed Inc. analysis shows where the Sharks have been the most successful, and how they differ. For example, Lori Greiner often brings her Shark Tank companies on home-shopping channel QVC, while Daymond John is all about spending one-on-one time with his entrepreneurs. 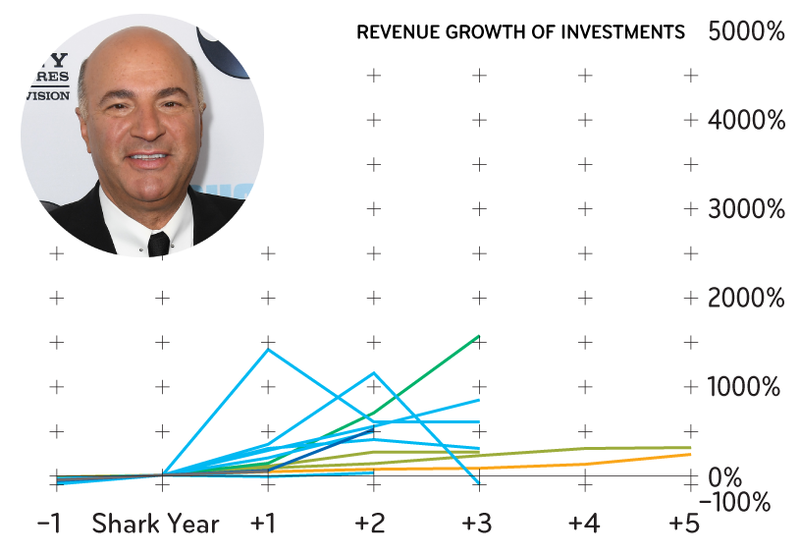 Kevin O’Leary doesn’t invest in companies as often as some of the other Sharks, but his businesses have seen tremendous success. 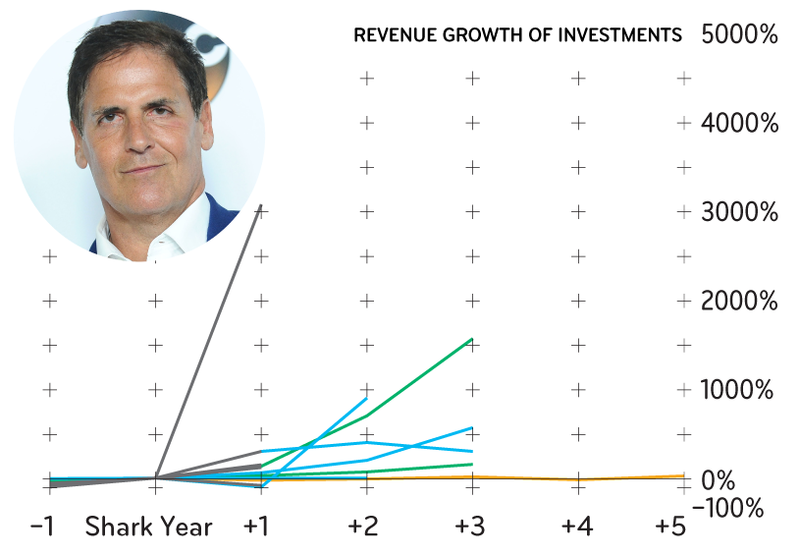 And Mark Cuban’s name alone can be a valuable asset to a business. Here’s how the Sharks measure up against one another. Barbara Corcoran has invested in a wide variety of startups, including natural deodorant company PiperWai and seafood business Cousins Maine Lobster, a line of food trucks and restaurants selling lobster rolls and other Maine delicacies. When co-founders Jim Tselikis and Sabin Lomac appeared on the show in 2012, they had one food truck and $900,000 in revenue. Since partnering with Corcoran, they've expanded to more than 30 trucks and generated $20.5 million in annual revenue in 2017. Mark Cuban backed Reely Hooked Fish Co., a seller of smoked fish dip, in season nine. 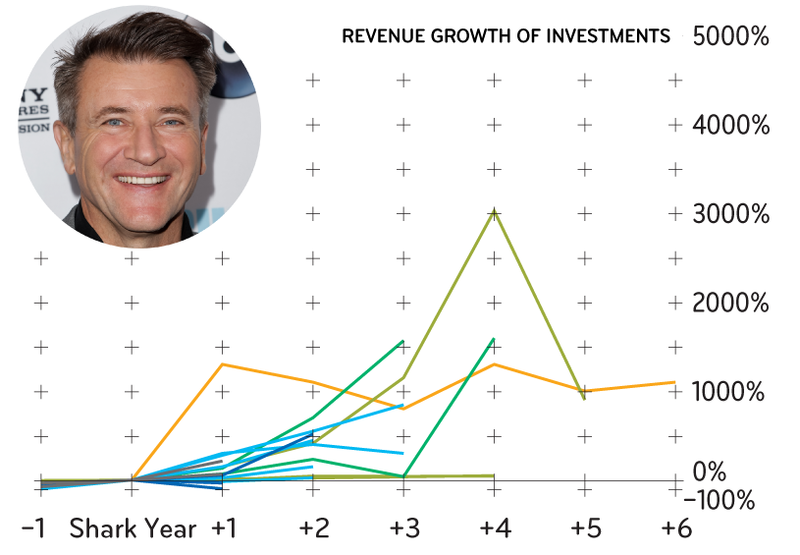 The following year, company revenue shot up 3,000 percent--one of the largest jumps any Shark Tank company has recorded. Also during season nine, Cuban and guest Shark Sara Blakely, the founder of women’s apparel company Spanx, invested in Alice's Table, a startup that helps women build their own businesses. ”Being able to say Mark Cuban thinks it’s a good opportunity—there’s a value to that," says Founder Alice Rossiter Lewis. Lori Grenier sometimes brings her Shark Tank companies on QVC--as she did with the adhesives company FiberFix, her biggest hit on the chart below. If you make a product that could be a good fit for QVC, Grenier might be your best bet. The year FiberFix appeared on the show, the company generated $900,000 in annual revenue. The following year, sales shot up to $3 million. FiberFix founder Eric Child says Grenier brings important context--and compassion--to her investments. "For Lori, business is more of an emotional exercise," Child says. Robert Herjavec's partnered with PupBox, a subscription service for puppy owners, in 2016 and helped grow the business from $700,000 in annual sales to about $2 million a year later. PupBox co-founder Ben Zvaifler says Herjavec saw serious potential in the company’s future. "That was not the case for every investor,” he says. Last November, Petco acquired PupBox for an undisclosed sum. 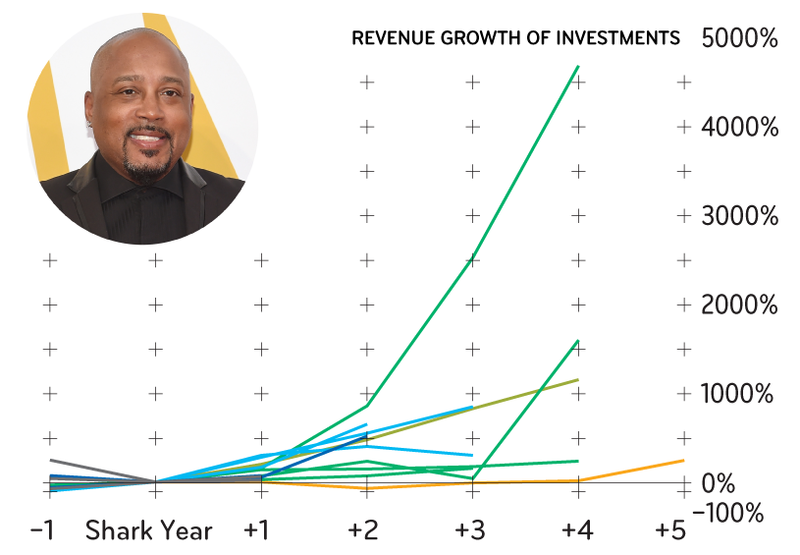 Daymond John proves the Shark Tank bump can continue years after an episode airs. That was the case with Bombas, the sock startup John partnered with in season six, which is on track to grow by 2,600 percent this year. If you’re looking for a great mentor to take you under his wing, then John is your man. “He’s very generous with his time and thoughts,” says Bombas co-founder Randy Goldberg. Kevin O'Leary hasn’t put as many investments on the board as some of the other Sharks, but he has guided his businesses to rapid growth. During season seven, he invested in pop-up card startup Lovepop, which grew annual revenue by about 1,200 percent the year after the company appeared on the show. O’Leary also introduced Lovepop co-founder Wombi Rose to his other Shark Tank entrepreneurs, some of whom have inked partnerships with the business. 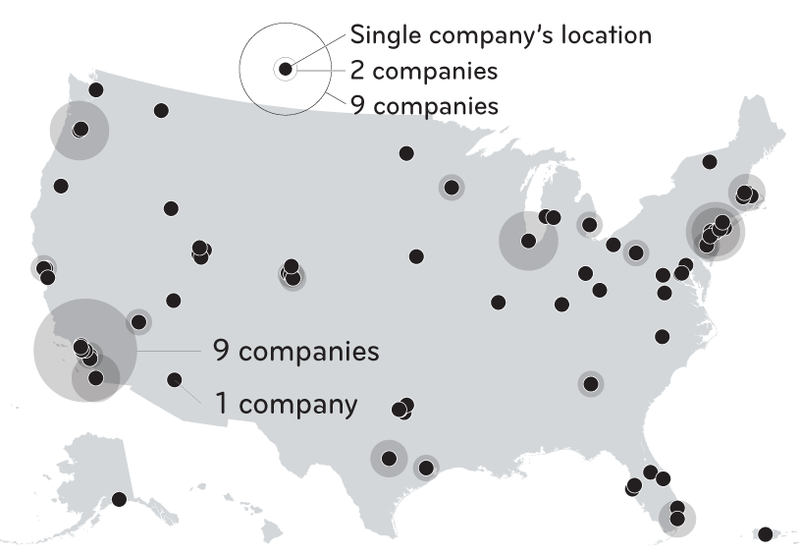 Where to find them Aside from the nation's biggest cities, the hot spots for the companies that shared their data with Inc. are Florida and the upper Midwest. Going on Shark Tank can boost visibility and draw attention to these businesses outside of their home bases. “A small business like mine couldn’t pay for that kind of publicity,” says Jason Hanson, founder of instructional safety company Spy Escape & Evasion, which is based in Cedar City, Utah. Hanson partnered with John during season five, when John invested $145,000 for 45 percent of the company. 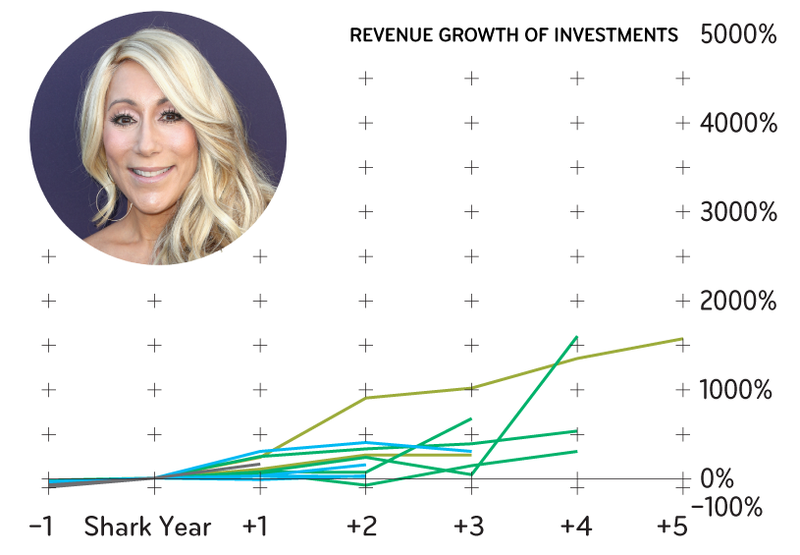 How Inc.-analyzed companies of the past five seasons are faring today Most Shark Tank companies see strong growth after their episodes air—especially businesses that appeared during the most recent seasons, after the show became extremely popular. 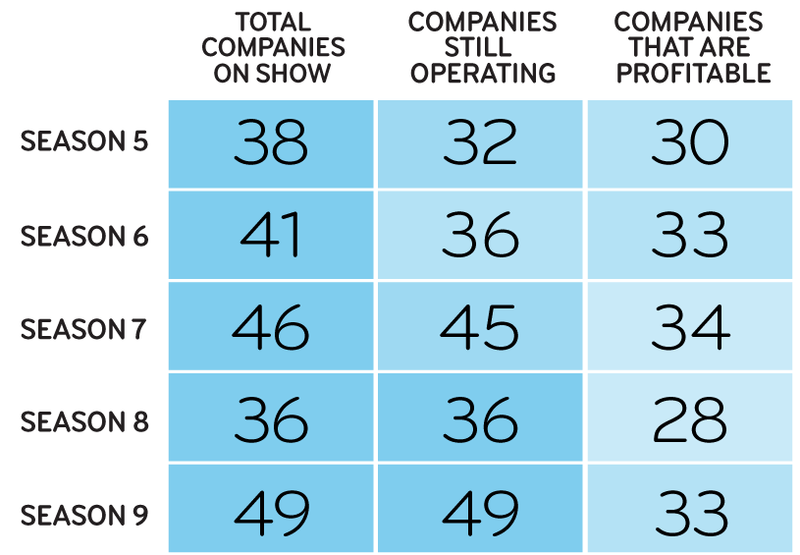 Nearly every company Inc. studied is still operating, and most have reached profitability. Girls vs. Boys Among the companies Inc. analyzed, far more men than women appeared in the Tank. 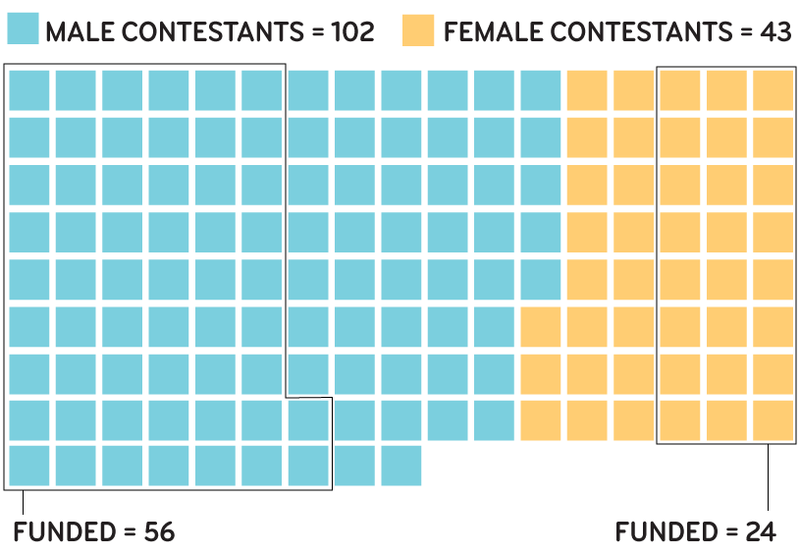 But on a percentage basis, female and male contestants landed about the same number of deals, with women getting a deal 56 percent of the time and men landing a deal 55 percent of the time.